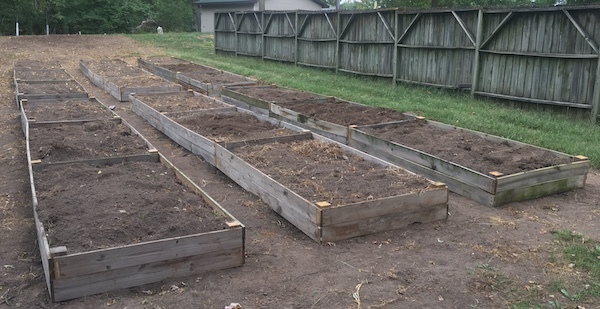 Jolene and Anne are mighty impressed with the 6 raised garden beds (each one is 4 x 24 feet) constructed by Hiram with assistance from Kailen and Tad. The lumber was salvaged from fence that’s slowly being dismantled. 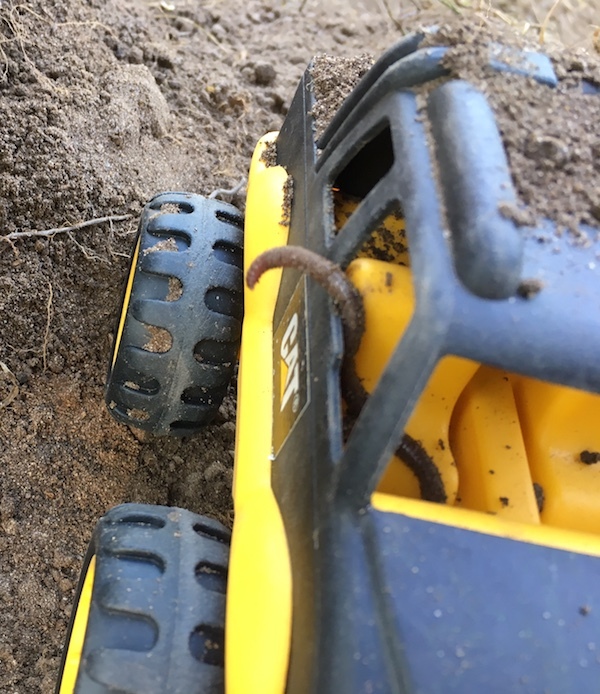 Of special note is Tad’s pet earthworm living large in the driver’s seat of Tad’s toy truck. An article about the many benefits of hugelkultur, none of which were successful when we tried them. The Nada Chair Chair Sportbacker Anne uses when her back goes wacky. Graber Blinds, the manufacturer of Jolene’s new window blinds. Please note that in her opinion, the new blinds are a raging success. Redeker’s Furniture, a family-owned business in central Iowa with great quality and selection. Locally-owned Reising Sun Cafe, which serves delicious meals, especially breakfast, and ice cream. Locally-owned Papa’s Pizzeria serves delicious pizza (with a gluten-free option), as well as delectable salads, sandwiches, and pasta. Everything we’ve tasted there has been wonderful. Thinking about their onion rings makes my (Jolene) mouth water.